Domain names are no longer treated as only providing an address for computers on the Internet but are treated as trademarks in relation to commercial activity of a particular company or business. With the expansion of telecommunication, it has become essential for business houses to protect their trade name from cyber squatters or cyber pirates. Some of the countries like US have developed a specific legislation for the protection of domain names, but in India the Information Technology Act, 2000, is limited to e-commerce only and fails to acknowledge this sensitive issue. The present chapter is an attempt to highlight the problem of domain names, the legislation laid down in US, specifically to deal with the problem of cyber squatters or cyber pirates, and dispute resolution mechanisms laid down by ICANN. 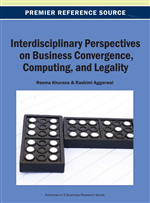 The chapter further suggests the need for specific legislation in India along with other alternatives. Geographical TLDs end with a two-letter code, which is assigned to each country. For example, ‘.in’ (India), ‘.fr’ (France), ‘.aus’ (Australia), ‘.uk’ (United Kingdom) and so on. Each country has an agency that handles registration of geographical domain names. These agencies are also known as Network Information Centres (NIC). Each country has its own registration policy and domain names ending with a geographical TLD are issued only to persons operating within the said country. Domain Names are unique as no two Domain Names are same and the method of allocation of Domain Name is by registration on ‘first come first served basis’. Contrary to general belief a Domain Name is not just an address, a significant purpose of a Domain Name is to identify the entity that owns the Website. An individual or an entity can employ a Domain Name only after they have registered the Domain Name for their use. The organization responsible for overall coordination and management of the DNS is the ‘Internet Assigned Number Authority’ (IANA)3. In the U.S today the major part of the assignment of the Domain Name is done by the registry called as the ‘Network Solutions Inc’ (NSI). The world over the assignment and registration of Domain Names are carried out by registries called as ‘Network Information Center’ (NIC). However, the most significant development in the world of Internet has been the establishment of the non- profit organization called the ‘Internet Corporation For Assigned Names and Numbers’ (ICANN)4. It is a global organization created in October 1998 by a broad coalition of the Internet’s business, technical, academic and user communities. ICANN is assuming responsibility for a set of technical function previously performed under the U.S Government contracted by IANA and other groups. The ICANN today is responsible for managing and coordinating the DNS to ensure ‘Universal Resolvability’. ICANN main function is to develop and manage Internet policy and logistics related to (1) Internet Protocol, (2) IP address, and (3) Domain Names.